My mother was born in 1940, one month after Germany began it’s attack on Great Britain. A few months later, Pearl Harbor was attacked, and the United States entered the war. By that time, Hitler had been rampaging through Europe for more than four years. Two days after Mom’s fifth birthday, Emperor Hirohito agreed to unconditional surrender and Hitler had been dead five months. Mom was very young when she heard her mother crying late at night when she thought no one could hear. Grandma was heart-broken, but it would be at least another twenty years before Mom would learn why. Josephine Daniel Rothsprack, my grandmother, grew up in Austria with her four sisters, Giselle, Hermine, Rosa, and Helene. I usually hear them referred to as “Tante” (German for “aunt”). Although Grandma was close to her family, she was tired of being poor. “All our clothes were rags,” she told my dad. “They were patched and patched until there were patches on top of patches,” she complained. Grandma told of a friend who had gone to New York and was living as a maid making $50.00 a month. “That was a fortune to us in Austria,” she said. So Grandma left her three sisters behind to seek her fortune in the United States. Grandma was on the Manifest for the “Bremen” arriving in September 1923. 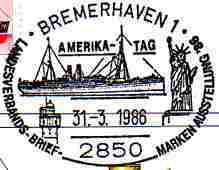 The Bremerhaven was renamed Bremen in March of that year. Grandma arrived in Boston September 14, 1923 (National Archives and Records Administration (Ancestry.com), Passenger Ships and Images database). From Boston, she took a train to San Fransisco where she stayed with friends until she could make a living on her own. That’s where Grandma met my grandfather, Wilhelm (“Willie” or “Bill”) Rothsprack. They were married, settled into a home of their own, and had three girls. My mother was the youngest. Grandma’s sisters in Austria. Tante Leni is standing in the back. I can’tbe certain, but I believe the woman seated to the right is Tante Rosa. Back in Austria, things were getting worse for the Jews. Giselle and Hermine had married influential Germans who kept them safe from harm; but news reports, letters and phone calls told Grandma that Rosa and Helene (Leni), her two other sisters, were still in danger. Grandma began saving money to bring them to the United States. Hitler invaded Austria in March of 1938, and with very little violence, annexed it, declaring Austria part of Germany. Jews and Gypies were not allowed to vote in the annexation, making the vote nearly unanimous. At that time, what was tough became even tougher. When Kristallnacht came in November, Rosa and Helene remained safe due to the fact that they were the only Jews in a very small town. But things did get worse when my Tante Leni’s boyfriend turned the family in to the Nazis. My mother tells me that Tante Leni’s boyfriend was himself a Nazi. Grandma and her sisters owned and ran a store from the building on the far right. 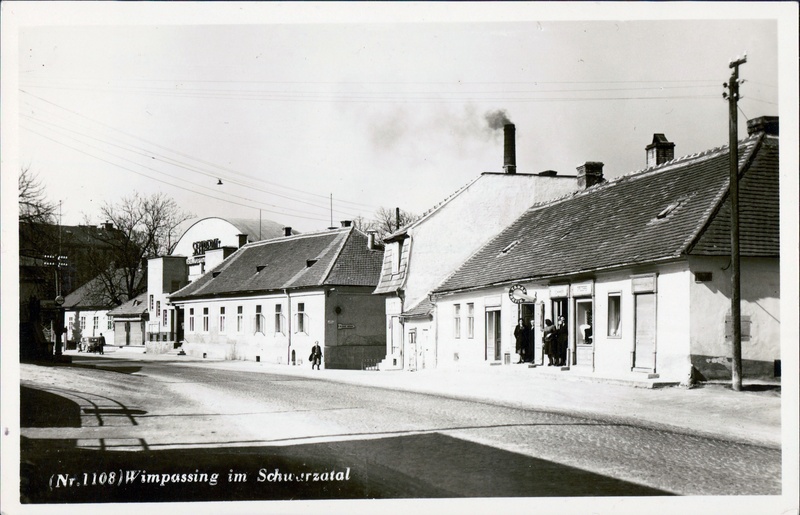 When the Nazis came to Wimpassing, the town where my aunts were living, people from nearby homes and businesses surrounded the car and would not let the officers take the girls. According to my parents, the townspeople told the Nazis “if you want to take these girls who have done nothing to you, you will have to take us too.” The Nazis were outnumbered so they left. After that, Tante Leni knew she could not stay, and immediately arranged passage out of the country. Grandma begged Tante Rosa to come too. 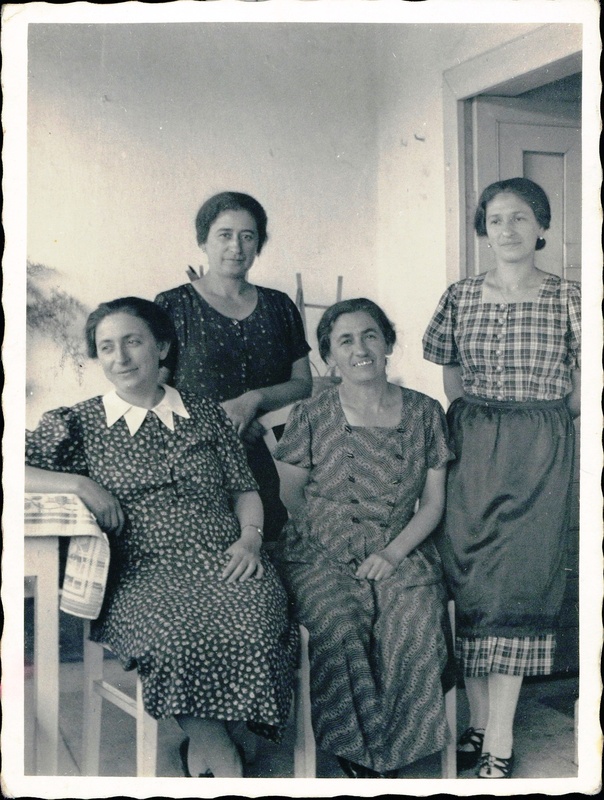 She told Rosa that she would do whatever it took to get her out of the country, but despite Grandma’s pleadings, Tante Rosa believed that she would be able protect the family’s property from the Nazis if she stayed. Once Leni had left though, it was too late. Borders were closed to Jewish migration almost immediately after Leni left. Tante Leni arrived in the U.S on Aug. 10, 1939 (Year: 1939; Arrival: New York, New York; Microfilm Serial: T715, 1897-1957; Microfilm Roll: Roll 6378; Line: 5; Page Number: 57). My mom was born a year later, almost to the day, so her early childhood memories are full of Tante Leni. But Mom has no memory of Tante Rosa other than what Grandma told her. Grandma was a U.S. citizen by the time Leni left Austria, and she knew that Rosa planned to go to Vienna to register their home and store as U.S. property. When Rosa left Wimpassing with the necessary documents, she was not heard from again. After the war, Rosa never resurfaced. Grandma spent the rest of her life ruminating over how she could have saved her sister, andwondering what had happened to her. She believed that her sister died in Auschwitz. It was over three decades after Grandma’s death that we learned what happened to Tante Rosa. That will be the next blog post. Previous postWhat’s in a Surname? Next postShe looks just like me. But who is she?